Tour Description: This is the Best Branson trip you can find. With new shows for the holiday season, you’ll get something you can’t get any other time of year. We hand-selected the best shows to give you the best Branson possible. No fillers here! Shows included: Presley’s Jubilee, Clay Cooper, Doug Gabriel, and Showboat Branson Belle(all with a Christmas twist), and the “Miracle of Christmas” at the incredible Sight and Sound Theatre. 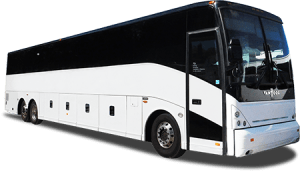 Tour includes Transportation, tickets to all shows mentioned (5 in all), 3 nights in Branson, 1 night enroute at an area hotel with the other 1 night enroute at the Casino Queen, 4 breakfasts, 2 dinners, 1 dinner show, and $5 in coin included in this jam-packed trip. *Please review our Cancellation Policy before signing up for any trips or tours. Cancellation protection is available for an additional fee. By signing up for any trips or tours you agree to all cancellation policies listed here or elsewhere. Cancellation protection on this trip is $72 per person due with your deposit. 6:30am Depart 15 Mile & Groesbeck. 7:20am Depart Dearborn Public Library. 6:00pm Arrive at Casino Queen Hotel. Receive a $5 Cash Coupon. Breakfast on your own at your leisure before departure. 4:00pm Arrive at Bransons NEWEST remodeled Hotel: Grand Oaks Hotel. Complimentary HOT Breakfast Included at your leisure. 12:30pm Free time for shopping at Branson Landing Shopping Center. Return to the hotel after the show. 12:30pm Free time for shopping at Grand Village Shopping. Return to the hotel after the show. Evening at your leisure. 11:45am Enjoy this included lunch at Lambert’s. 1:15pm Depart for Hotel Enroute. 7:30pm Check-in to Hotel Enroute. Complimentary Breakfast Included at your leisure. 10:00am Depart Hotel for home.